The Chinese Year of the Goat begins on February 19, 2015. Chinese New Year is a fifteen day holiday celebrated with lots of food, family reunions and visits with friends. “Gong Hei Fat Choi” means “congratulations” in Chinese, and is a traditional greeting of best wishes for a prosperous new year. "The Chinese calendar is based on the lunar year, so the date of Chinese New Year changes every year. The Chinese calendar follows a 12-year pattern with each year named after an animal." Visit Activity Village to learn about the Year of the Goat, and all the Chinese Zodiac animals with stories, crafts, puzzles, worksheets and coloring pages. "In order, the 12 animals are: Rat, Ox, Tiger, Rabbit, Dragon, Snake, Horse, Goat, Monkey, Rooster, Dog, Pig. Why these 12 animals? The 12 animals were chosen deliberately, after many revisions. The zodiac animals are either closely related to ancient Chinese people's daily lives, or have symbolic lucky meanings." Learn more about Chinese astrology and learn what your Chinese Zodiac animal is. Mine is the Snake! From the Chinese Culture Center of San Francisco, this informative Chinese New Year page describes dozens of new year's customs, including Lai-See (red envelopes of money given to children), everybody's birthday (the day when everyone turns one year older), and the Lantern Festival (the end of the New Year celebration.) "On New Year's day, everyone had on new clothes, and would put on his best behavior. It was considered improper to tell a lie, raise one's voice, use indecent language, or break anything on the first day of the year." "Traditionally for the Chinese, New Year was the most important festival on the calendar. The entire attention of the household was fixed on the celebration. During this time, business life came nearly to a stop. Home and family were the principal focuses." In 1912, however, China adopted the Western Calendar, and although Chinese New Year is still celebrated, it is now often called the Spring Festival. Visit History for four short videos, and an explanation of how this iconic holiday has evolved. Built to promote the Chinese New Year Parade in San Francisco, the Students & Teachers menu reveals dozens of gems. This particular page hosts eight stories about Chinese New Year traditions and history such as the animals of the Chinese horoscope, the Chinese lunar calendar, and the story of the Four Dragons. Other menu items include printable coloring pages and crafts, downloadable games, a fortune cookie recipe, and a history of the San Francisco Chinese New Year Parade. Feldman, Barbara. "Chinese New Year." Surfnetkids. Feldman Publishing. 3 Feb. 2015. Web. 20 Apr. 2019. 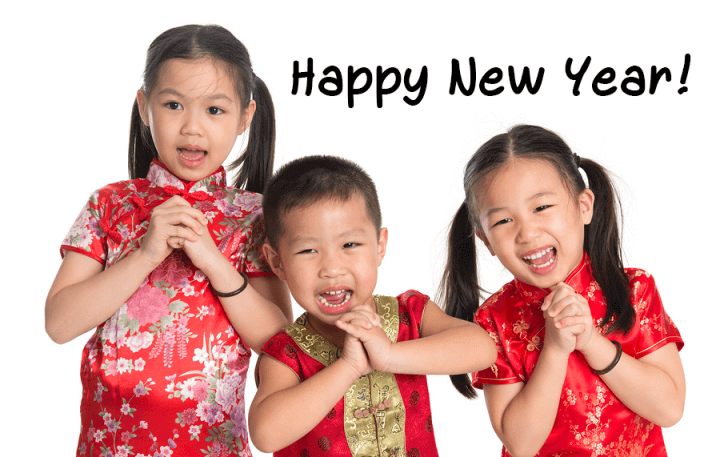 <https://www.surfnetkids.com/resources/chinese-new-year/ >. By Barbara J. Feldman. Originally published February 3, 2015. Last modified February 3, 2015.